The evil dummy comes to life to tell his own twisted tales and scary stories. Slappy welcomes the reader to his world and introduces every novel in his own hilarious, menacing style. "This may be the most awesome story ever written!" he exclaims. "Mainly because it's about ME!" 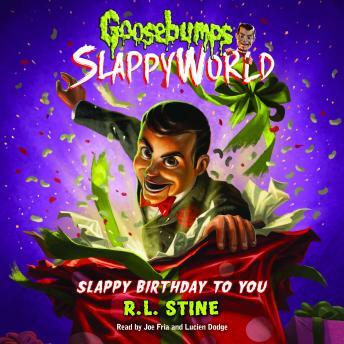 He introduces-and stars in-Slappy Birthday to You-an all-new Slappy adventure with perhaps the most terrifying birthday party ever.